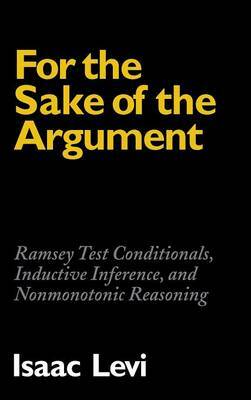 This book by one of the world's foremost philosophers in the fields of epistemology and logic offers an account of suppositional reasoning relevant to practical deliberation, explanation, prediction and hypothesis testing. Suppositions made 'for the sake of argument' sometimes conflict with our beliefs, and when they do, some beliefs are rejected and others retained. Thanks to such belief contravention, adding content to a supposition can undermine conclusions reached without it. Subversion can also arise because suppositional reasoning is ampliative. These two types of nonmonotonic logic are the focus of this book. A detailed comparison of nonmonotonicity appropriate to both belief contravening and ampliative suppositional reasoning reveals important differences that have been overlooked.